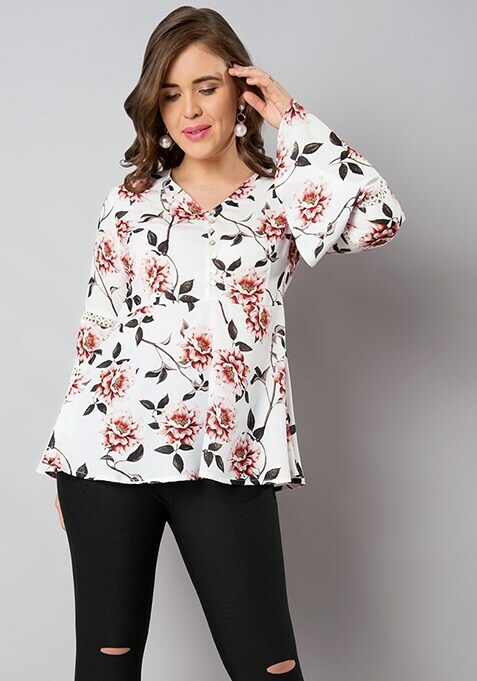 Redefine sophistication with this gorgeous, floral print white top that makes a versatile casual wear in every diva's wardrobe. Features mock placket, bell sleeves and crochet insert details. Work It: Pair this trendy top with simple blue jeans and leather court shoes.